LADIES FIRST — WHERE IS YOUR PICK? 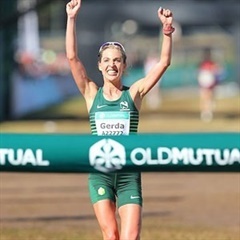 Gerda Steyn has taken South African running by storm. 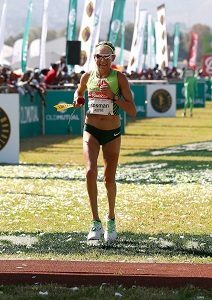 As a young novice based in Dubai Steyn has grown race by race, and now is hot favourite following her move back to home in South Africa and a win in the Two Oceans marathon. Tanith is the fastest lady marathoner in the field and an Olympian, but a novice to the Comrades. BUT IS IT POSSIBLE THAT CAROLINE IS RUNNING? 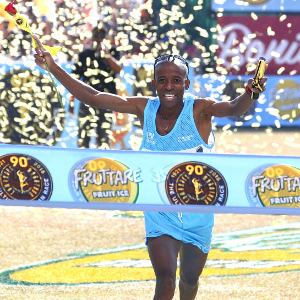 _ The Pervious Comrades champion was spotted running on the beachfront in Friday …. is this a silent entry from A batch? Calm, controlled, focused and as he puts it — a professional runner – This is his work.. 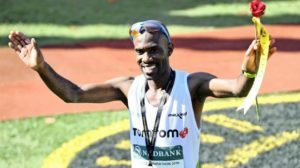 BUT below this hard shell exterior is talented, fast strong and an emotional runner – a runner powered by emotion and desire – NOW THAT is a dangerous competitor… He will be on the podium and probably the top step. 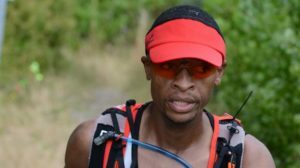 Another of the six 100km runners in the top echelon (along with Rufus Photo, Ludwick Mamabolo, Bongmusa, David Gatebe and Prodical Khumalo who did his on a trail!) — Racing this distance (IMO) will have honed their minds. 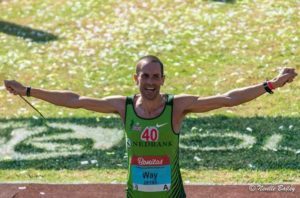 Their event over 10 flat hard working laps of 10km give them a mental edge – they know that to keep moving to ignore the pain they can and have gone further and faster …. Thats a confidence that you cant buy any other way but experience. – Past winner and hard competitor. The old hand and many call him the Master of the Down run. 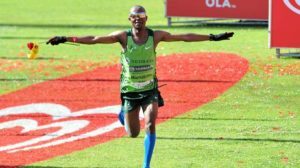 He understands pacing – those who are ahead better have the talent and the mind to stay ahead or face being overhauled in the final 10km..
That final 5km of flat in this years event will be one of the toughest sections… a never closer Moses Mabhida stadium and a long straight (and hot?) road… dont let Mamabolo be the one chasing you! The fastest ever down run athlete is not to be underestimated and with the shorter smoother, less energy-sapping start from Pietermaritzburg there is every reason to believe that he has the speed and the talent to get close to (perhaps even challenge) the record, but otherwise expect a 5:20 finish by someone. Its all in the weather. These 100k guys will run as a team / group and know what it takes – do not underestimate and for excitement watch for the gloves to come off with 18km to go!! Prodigal is the local hero made good. 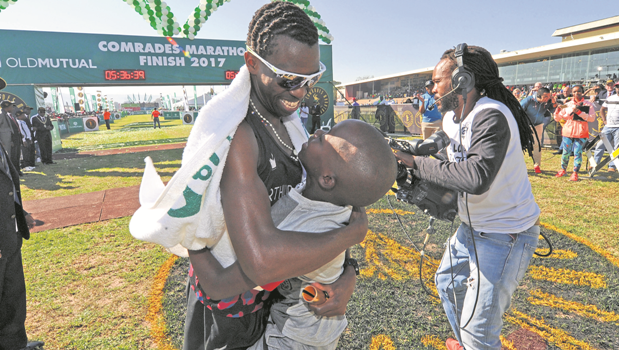 The support for him will be vociferous and increase with each stride home to Durban.